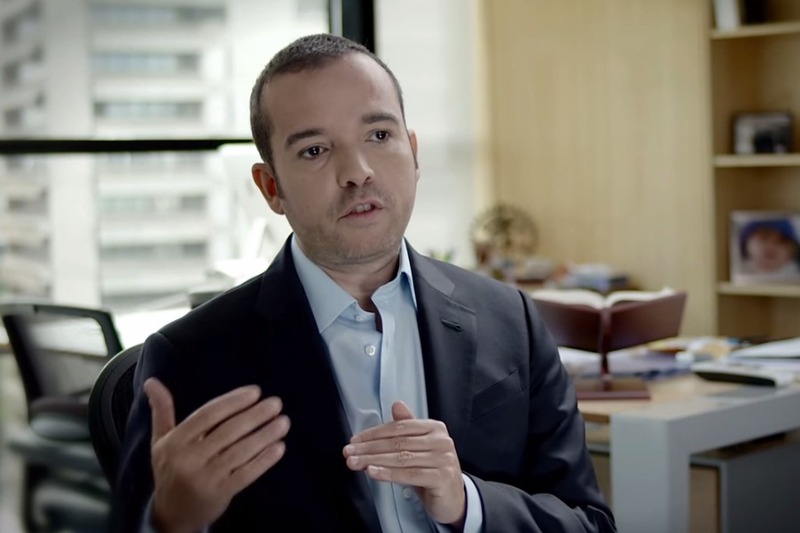 Antonio Mugica is the CEO of Smartmatic, a London-based company working in the field of electronic voting and internet voting. He spoke to EURACTIV’s Laurens Cerulus. Which countries in Europe are moving forward in the field of electronic voting? In Europe, Belgium is one of our largest and most important customers. Actually, the last elections we ran and supported were the European Parliament elections in May, for Belgium. At the same time, we ran a pilot in Bulgaria that is looking into bringing in technology and innovation in elections and we’re looking into bringing in technology and integrity into the election process. Key words for us are bringing efficiency and transparency to government. In the election market, why would countries bring in technological advancement in elections often still done on paper? Because it increases integrity, it increases security. But in addition to that, it makes voting more accessible. More people can vote, in an easier way, in a more convenient way. And it brings the cost of running elections down and the speed of running them up. And lastly, it is a lot greener as most paper-based elections. In Estonia, over 30% of voters cast their ballot via the internet in the European elections in May. Right now, the internet voting system in Estonia already has about ten years of experience. So they have been investing in research and experimenting and growing their internet voting system for the past ten years. Do you see this system of online voting, from home, expanding to other countries soon? Internet voting is something that we are now beginning to offer to our customers. We made an investment into internet voting for Estonia. Estonia is the most successful internet voting experience we’ve seen in the world. We can take this experience and make this available to the rest of the world. Now, internet voting has certain challenges in itself, which are completely different from traditional voting. The most persistent one has to do with online identity. How can you verify that someone online is really the person he is said to be? It’s not only a problem for internet voting, but also for bank transactions or booking services; it is a general challenge. We’re also not betting or claiming that everyone will start voting online to elect their government, by next week. That’s not what we’re after. We want to offer an additional channel of voting, next to going to a polling station. There are specific situations in which voting on the internet – using a system like the Estonian one – is extremely powerful. That would include absentee voting, military voting and even postal voting. It is natural replacement for those, not necessarily for all of the votes. Does it have an impact on the outcome of the vote? In the case of Estonia, I don’t think there has been a major political impact. It’s just an additional channel. I think a lot of studies are beginning to be made that want to look at the political impact, for instance on voter turnout, voter favourability or even benefits for one or the other side of the spectrum. There is a lot of additional study that needs to be made – there is no robust study that points to what happens. The benefits are obvious and self-evident, but this aspect of political impact still needs to be scrutinised. Would you say it is easier to introduce in developing countries, rather than developed, European countries? I think the challenge is different but the complexity is the same. In developing countries there is usually a clearer understanding of increasing the integrity of the elections. For the general population it is perceived as a good thing. But in more developed markets, like Western Europe, technology is seen with a little bit more skepticism. The discussion is more focused on additional costs and making it more green. How do you see voting and voting technology develop further, perhaps in the coming decades? Well, one issue that is very relevant now has to do with the quality and the shape of citizen participation in the political process. I think we changed from an industrial socio-economic era to an informational socio-economic era. In any change, technology comes first, economic activity next, but the political organisation of the world also changes afterwards. So I think we’re kind of in an early stage of an evolution of democracy as it has been understood since the industrial revolution. We’ll see more citizen participation; we’ll see a lot of new tools and new technologies that will engage citizens in the democratic process in ways that seem unimaginable right now. I think we’re going to see very exciting things happening in this field, in the coming years. I doubt if Americans ever (will) vote their President in e-democracy ! Maybe this is an opportunity for Hackers to abuse or sabotage the election /results ! Online voting will bring it’s own hazards and opportunities. Hacking could be a problem, as could interference by security agencies. On the other hand, there could be a lot more people checking things. Electronic results can always be checked. The interesting part is what this can do to broaden what we mean by democracy. There has got to be a better way to keep a government in check then every four or five years cast a ballot, and put a piece of paper in a box. Democracy could change into something that is continuously interactive between the people and the government, and that is the direction we should be going in.